Women's Diagnostic Services at Rancho Springs Medical Center offers advanced imaging technology for women in Murrieta and surrounding areas of Southwest Riverside County. An all-female staff, including a breast health nurse navigator, work to help women feel at ease throughout the imaging and testing process. 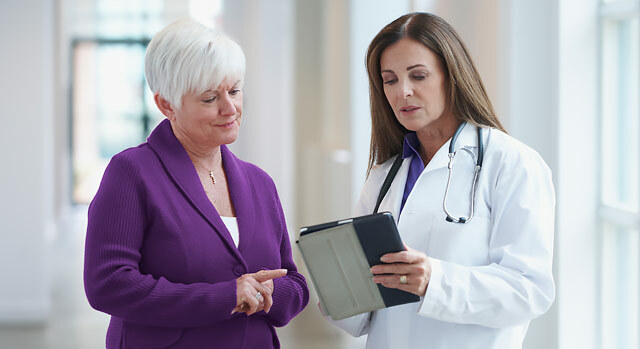 Women's Diagnostic Services provides all-digital mammography imaging, which can help detect breast cancer at the earliest stages when it's most treatable. Digital mammography, also called full-field digital mammography (FFDM), is a system to detect breast cancer or other abnormalities. It is replacing traditional x-rays with electronic pictures of the breast. These mammography systems are similar to those found in digital cameras. The images the radiologist reviews are sharper and clearer than film x-rays and the patient's mammogram requires a lower dose of radiation. The radiologist reviews and stores the mammograms on a computer. The woman's experience during a digital mammogram is almost identical to the one she would have during a film mammogram. The only difference she might notice is that her mammogram is now available to her on a compact disc (CD) rather than on a large piece of film. Women's Diagnostic Services also offers women bone density testing with the Discovery DXA bone densitometer from HOLOGIC®. Bone density screenings use a small dose of radiation to produce images of the spine and hips to measure bone loss from osteoporosis to assess a person's risk for developing fractures. Call 951-677-9797 to schedule an appointment with Women's Diagnostic Services. Appointments for bone density screenings (with a physician's referral) and mammograms may be scheduled for the same visit. Women's Diagnostic Services is located at 25500 Medical Center Drive on the campus of Rancho Springs Medical Center (off the Main Lobby).